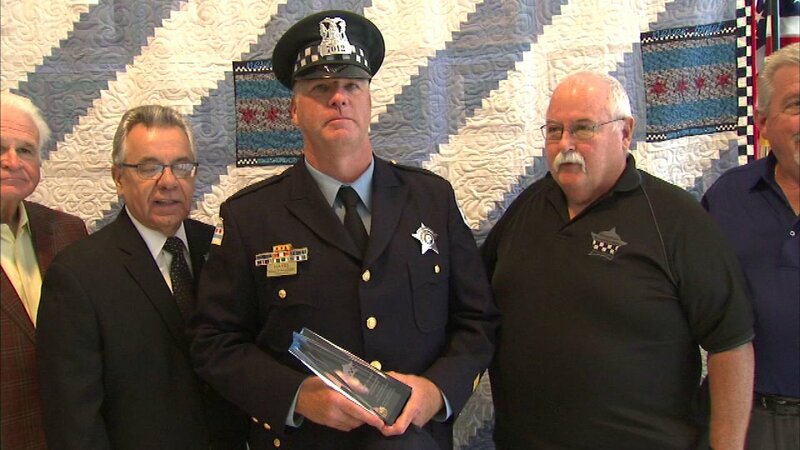 The Chicago Police Memorial Foundation honored Officer Sean Hayes Wednesday as September's Officer of the Month. 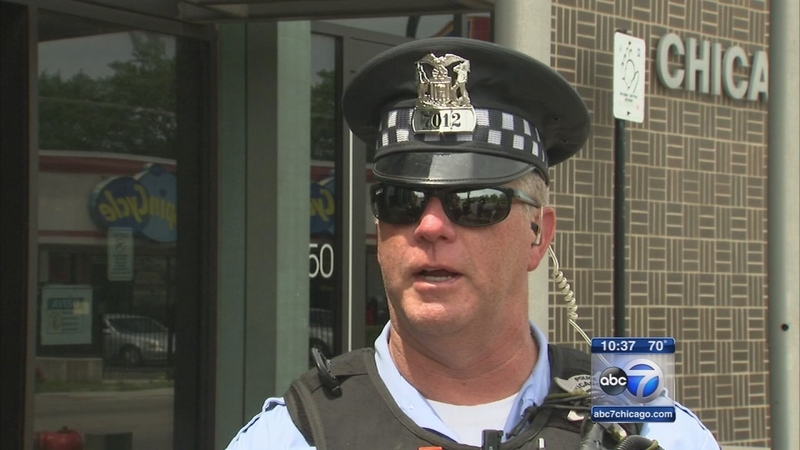 CHICAGO (WLS) -- A Chicago police officer was honored for saving the life of an injured bicyclist while off duty. He was with his son back in July when he saw the bicyclist in a daze near Damen and Addison. The man had just slammed into an open door of a parked car and suffered a serious wound to his neck. Officer Hayes said he used a medical kit he kept in his car to keep the bleeding down until paramedics arrived. An off-duty Chicago police officer - who was headed to a farmers market with his six-year-old son Sunday morning - is credited with possibly saving a bicyclist.